The 1990 season wound down and with it the Wausau Timbers' time in Wausau. The Milwaukee Journal, chronicling the Timbers' impending move to Kane County, spoke to the Timbers' manager Mike Young. "All of a sudden," Young said to The Journal, "it seems like the season has gone by awful fast." Timbers second baseman Christian Benitez may have had the same sentiment, not so much for the Timbers' season, but for his own career. As the 1990 season wound down, Benitez' short career did, as well. Benitez played two professional seasons. He never made AA. 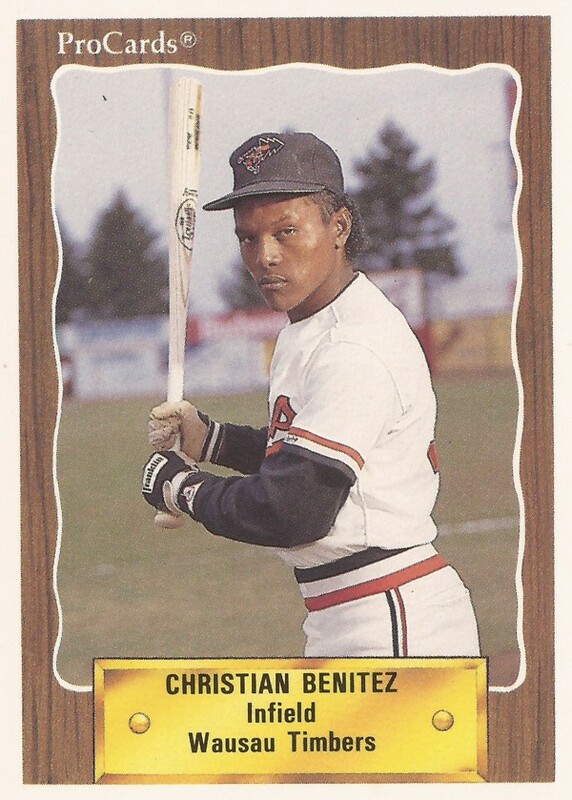 Benitez' career began in 1989, signed by the Orioles as an undrafted free agent out of his native Dominican Republic. Benitez played his first pro season at rookie Bluefield. In 52 games there, he hit .236. He had 12 RBI and 11 stolen bases. He moved to single-A Wausau for 1990. The second baseman got into 75 games there, hitting .229. He hit one home run and stole nine bases, ending his career.